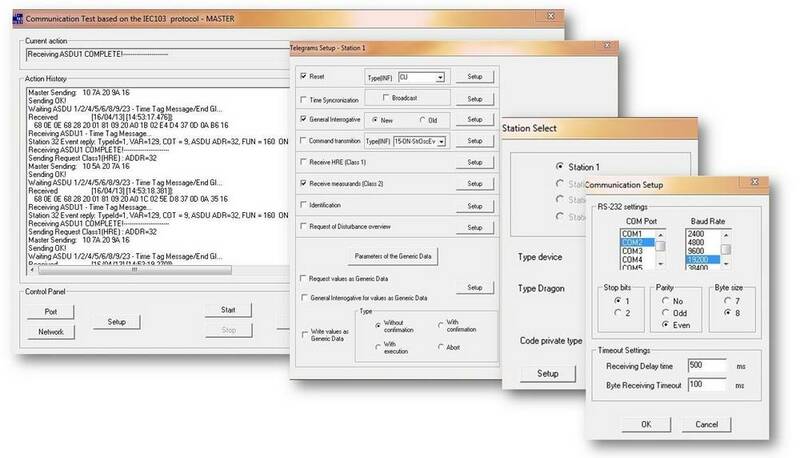 The ROCON Protocol Testing Simulator operates on a PC platform under Windows OS, 32- bit and 64-bit where applicable. It gives possibilities for testing and simulating the behaviour of different IEDs over standard communication protocols such as IEC 60870-5, DNP3, Modbus. The program can be used to develop test scenarios, analyzing the behaviour of the devices to the protocol, checking protocol stack and more.